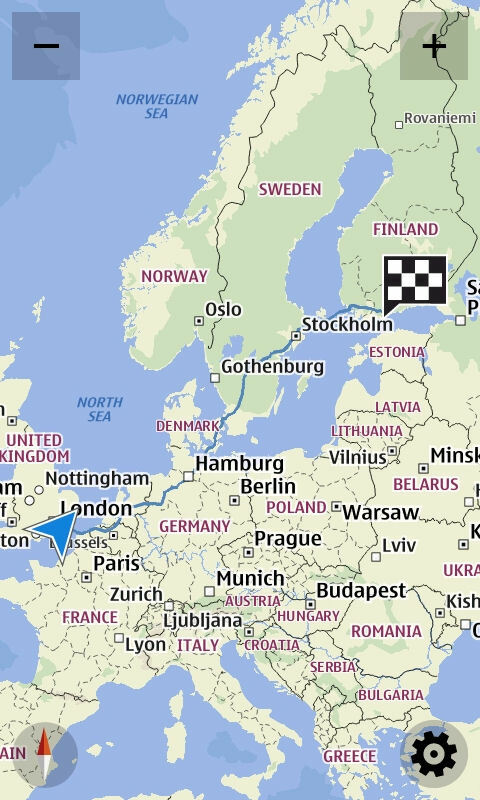 To use Nokia Drive in offline mode, you first need to download map data, which you are prompted to do when you first start up the application, but can do at any time via the application's settings (Manage Maps). Maps can be downloaded on a country by country basis (e.g. UK is 201MB), with some countries also split into regions (e.g. Wales is 34MB). Offline / online mode is controlled by the Connection toggle switch in the application's settings. By default the application is set to operate in online mode, so as to provide as seamless experience as possible. 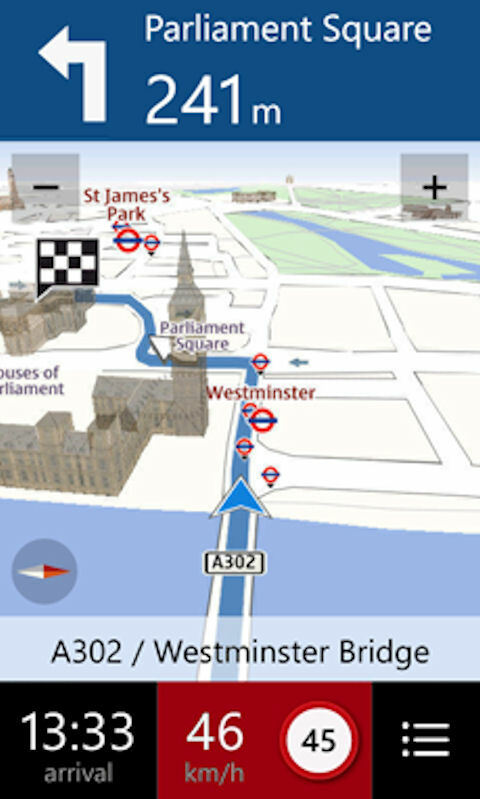 However, even in online mode, the application will use the locally store maps and place database, where available, for location search, routing and navigation. The application will only go online when the necessary data is not available locally. 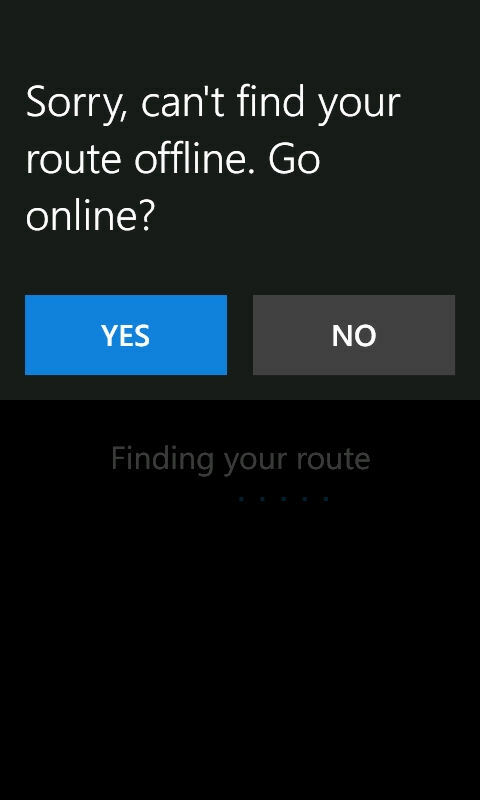 The difference with offline mode activated is that the application will prompt you before going online (e.g. if you try an navigate in, or into, an area where there's no locally stored map, or if a search of the locally stored place database reveals no results). This makes it really easy to use the application without using a data connection, which makes it ideal for use when in another country (when data roaming is likely to be expensive). The second major feature addition in Drive 2.0 is support for speed alerts. 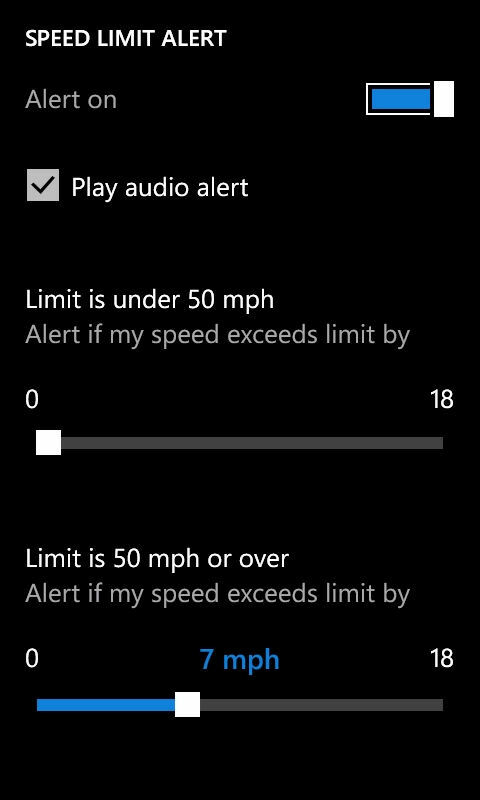 When driving, the application will give a visual indication and, optionally, an audio alert if you exceed the speed limit. Speed limit data is available for the majority of roads as part of the underlying metadata associated with the map. The threshold speed at which speed alerts are triggered can be configured in the application's settings. There are two options, one for speeds under 50 mph (typically B roads and unclassified roads), and one for speeds over 60 mph (typically A roads and motorways). While we're sure all AAWP readers stick to the speed limit with exactitude, it's very useful to be able to set the limit slightly higher to avoid false positives. There are also a couple of small UI tweaks in Drive 2.0. The first of these is the redesigned navigation dashboard. This now features the aforementioned speed alerts, but also offers a configurable right panel. 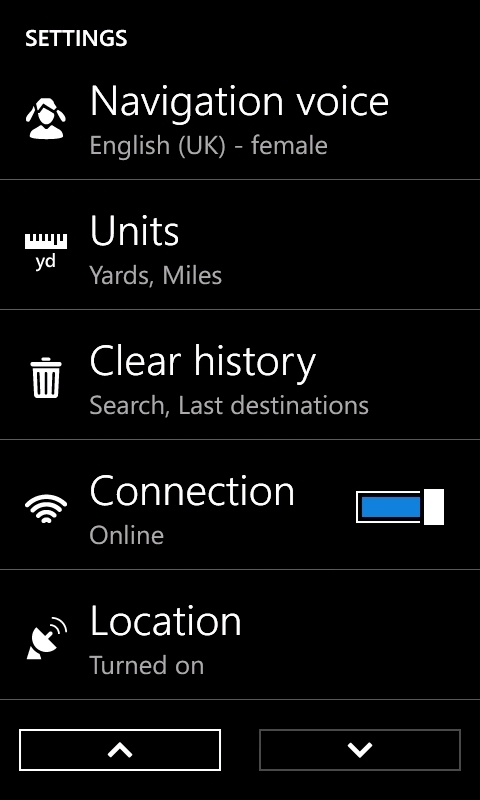 By tapping on the right panel, you can configure it to show time of arrival, remaining distance or remaining time. The second of these is in the search page, where a list of previous destinations is now only a single tap away (a good standby until a full location favourites feature can be added to the location system). Nokia Drive 2.0, which is only available for Nokia's Lumia handsets, can be downloaded from the Windows Phone Marketplace. 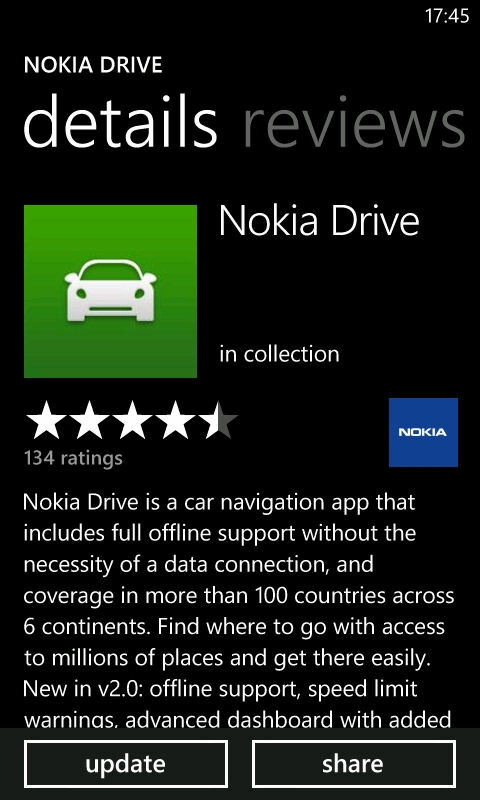 If you already have Nokia Drive installed then you should be automatically notified that an update is available (see updates in Marketplace app). However, you can manually update by going to the Nokia Drive entry in the Marketplace (you'll find it in the Nokia collection section). You can also download the update by scanning the QR code on this page, or following the App link from the AAWP app.